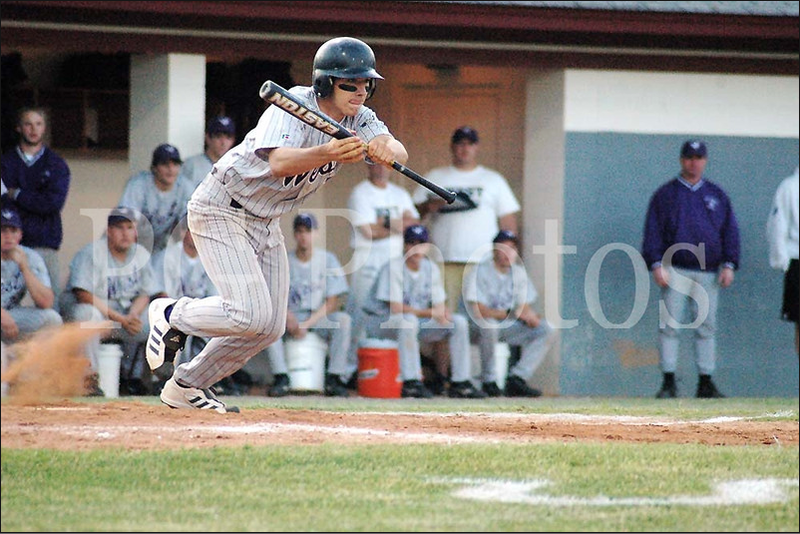 My sophomore year I was cut from the baseball team at West Stokes High School. Truthfully, the only reason I even made the team as a freshman was because the coach knew I would be an encourager to the rest of the team and would do whatever it took to help make the team better. I had three at bats the entire year and played something like three innings in the field. I walked once, had a single, and got robbed of a double (I’m not bitter or anything). I also made at least two errors in those three innings. I wasn’t the best baseball player. My coach knew I had a desire to coach and help make people better. Instead of cutting me and throwing me to the wind, he told me he wanted me to stay on as a student assistant/manager type person. The next year, as a junior, he asked me to keep helping out and even told me he wanted me to be in uniform like a coach would be. So while I wasn’t playing, I was at practice most days and at games, in uniform. He knew I wasn’t a good player but saw I could be a good coach. And he invested in it. My senior year he left to go take a position at another school. I helped the new JV coach some before the Varsity coach asked me to start helping them out with some things. I was glad to help and glad to get the experience, especially because I thought the Varsity coach hated me. As a freshman in college, I interned with our Varsity baseball team. The coaches treated me like a coach even though I was dumb and didn’t know half the stuff they did. I was given one main area to oversee: bunting. Glamorous, right? Every day at practice I ran our bunting drills. I really think it was just something to make me feel useful and to get me away from the real coaches but I owned it and did the best I could. I took it seriously. We played Eastern Guilford in the second round of the playoffs. The game was tied at two and we were somewhere around the 4th inning. We had two runners on with no outs and our #9 hitter up. He laid down a perfect bunt and was able to beat it out and reach base. I’ll never forget what happened when he hit first base. Before the next pitch, he looked at me in the dugout, pointed at me and said, “That’s all you.” We ended up scoring a few runs that inning and eventually won the game. I wasn’t the star player. I wasn’t the head coach. I was a support staff member. We all want to be the star. We want to be the person who gets the credit. We all want to be the hero. We want to be liked. We want people to think we’re good at what we do. Heroes don’t exist without people behind them working behind the scenes. Stars can’t win without role players. Were you made to be the star or were you made to be the role player? Were you made to be the head coach or were you made to be the bunting coach? Knowing what you were created to be helps you live out who you’re supposed to be. Trying to be the star when you’re meant to be the role player only leads to frustration, disappointment, and unhappiness. Trying to support the star as best you can leads to fulfillment, excitement, and a sense of accomplishment. Stars: your role players need your support. You’re getting built up by everyone else and getting all of the credit from everyone externally. Build up your role players. Point to them in the dugout and say, “That was all you.” They need to know that. They need to hear that. Just because you get the credit doesn’t mean they feel it. Support them. Role players: your star needs your support. He needs to know he executed what was planned. He needs to know you’re appreciative of how he ran out what you planned. The star normally looks like he’s got it all together, but he’s just as fragile as you are and needs to be built up just like you do. Support him. That year’s baseball team was the best team in the history of my high school. We came one run from the State Finals. We lost because the #9 hitter couldn’t get the bunt down. My coach still told me I had done a great job. (the capital letters were a little weird, weren’t they? today’s post was originally posted july 7, 2012 when i was trying to use proper capitalization. weird, right? i wanted to repost it based off of conversations that i’ve had with people over the past couple of weeks. i’ll be back to new material on monday.